Medicine is a Nobel profession. Apart from the responsibility that comes with the profession, it’s also the perseverance of a Doctor in long operations that decide the fate of a human being. ​No doubt that Doctors and Nurses are highly respected and sought after in everyone’s lives at some point of time. The medical education system is slightly different in every country. India has a very old medicine system which prevailed for centuries and was adopted in many parts of the world. Slowly and steadily, with the rise of modern day diseases that comes with lifestyle changes, we failed to scale up our medicinal institutes and failed to improve the standards of our hospitals, with respect to growing population. At present we have huge demand of doctors and the scenario is that there are very few government medical colleges in India to address the need of medical aspirants in India. We at S V Videsh Vidya provide guidance for students aspiring to become doctors in various countries depending on the profile and funding capability of the candidate. Keeping in mind the background of MBBS study abroad aspirant we, at S V Videsh Vidya, provide holistic information on all MBBS course options and countries along with advantages/disadvantages of the options. Finally, we enable a Study Abroad MBBS aspirant to take an informed decision for their MBBS program. Not fulfilling the eligibility requirements of MCI for your MBBS study to be recognized. We provide help line numbers and our student coordinator’s number in case of Emergency. 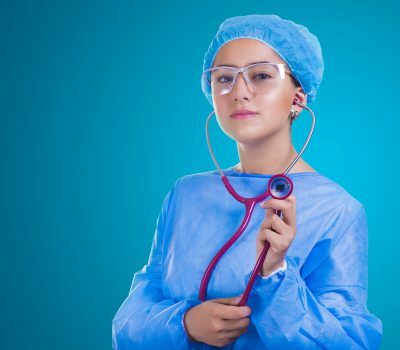 How can I become doctor if I do not get merit seat in India ? When a student gets a merit seat then medical education in India is affordable and definitely worth it. But, if student does not get merit seat and parents cannot afford for the seat in private colleges because of high fee and donation, then the best option is to do medical or MBBS abroad. Why do you tell MBBS in India is expensive ? There are lakhs of students writing medical entrance test and on an average 2.7% to 3% students get government allotted merit seat. The tuition fee for Govt seats is affordable but rest of the seats are occupied by private colleges. The fee in private colleges is very expensive and it ranges from 7lakhs to 10lakhs per year plus some colleges also demand donation. To get a merit seat there is a huge competition and malpractice happens in India. Therefore, the process is becoming very stringent to allot merit seats to the deserving candidates. How can you get MBBS abroad seat ? Visit S V Videsh Vidya enterprises in BTM Layout, Bangalore and get the best counselling for making a right choice to pursue MBBS Abroad in best colleges/universities, within your budget. After getting medical degree abroad can I come back to India and practice Medicine in India ? Yes, student has to choose universities / college that are approved by MCI . Then pass MCI exam to practice as a regular doctor in India. S V Videsh Vidya provides admission only in MCI approved colleges abroad. How do we understand we are choosing right university ? The program with 4 trimesters at Pre Medical level are the right program. Choose the university that offers Clinical Rotation and not Observership in last 2 years in the teaching. This should be mentioned in writing. Green Book Clinical Rotations should be accepted to study medicine in USA. For successful residency match for PG level in USA students should check the ACGME approvals of the teaching hospitals provided by the university. How do you say doing MBBS abroad is affordable? Just MBBS degree is not sufficient and it is required to do post graduation to serve as a specialist. There are many medical Universities outside India which costs almost same or little more you pay for government seat in India. As a consultants we have analysed that the amount of money you spend in doing MBBS plus PG in India in private college is very expensive so spending same amount you can complete MD abroad plus students are also are given stipend during residence program. Where can S V Videsh Vidya help to get admissions for MBBS Abroad students? S V Videsh Vidya facilitates MBBS abroad admission in many countries. For more info on these you can visit links below.